WASHINGTON, D.C. – On the day after President Trump delivered his State of the Union speech to a sharply divided Congress, the mood in the House and Senate offices flanking the Capitol was one of uncertainty about what – if anything – could be accomplished in the coming session. Immigration and “The Wall,” disputes over foreign policy, stalled nominations, the threat of another partial government shutdown and congressional probes of Trump are a recipe for deadlock, even in a city accustomed to the hurry-up-and-wait of politics. That sense of stalemate was tangible during a February visit to Washington, where a leading technology trade association gathered members from across the country – including the Wisconsin Technology Council – to hear about industry and legislative trends and to meet with lawmakers on both sides of the partisan aisle. It was an exercise carried out in hopes that if any issue could unite Washington’s factions, it would be building a more competitive economy. Topics included recruiting and training skilled workers in information technology, data security, enhancing the technology infrastructure, privacy issues and trade, especially around the United States Mexico Canada Agreement. The USMCA is the most likely successor to the North America Free Trade Agreement. “The 116th Congress will be a significantly partisan atmosphere, although there will be some opportunity for bipartisan compromise,” noted Elizabeth Hyman, executive vice president of public policy for CompTIA. 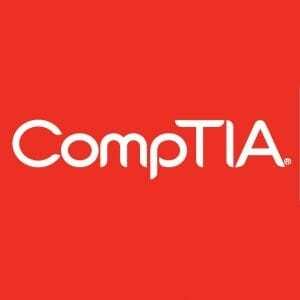 CompTIA members include about 120 major tech companies and 40 state and provincial tech associations in North America. Tech apprenticeships: A bipartisan bill that shows promise for states such as Wisconsin, which needs more workers of all descriptions and especially those with tech skills, in the CHANCE in Tech Act. That’s an acronym for Championing Apprenticeships for New Careers and Employees in Technology. The bill is a recognition that tech apprenticeships in the United States are largely a patchwork of programs that don’t always result in certificates that are “portable” from one workplace to another. It would instruct the U.S. Department of Labor to award contracts to industry intermediaries to develop apprenticeships in tech; define how those intermediaries – such as tech colleges and industry groups – would work with business; and make apprenticeships available to high school students, early college science and tech students and post-secondary students. Many IT professions don’t require a four-year college degree and jobs can be filled with a skilled workforce that has other certified training. Infrastructure: One of the few bipartisan applause lines during Trump’s speech was his mention on rebuilding America’s infrastructure, which is often characterized as roads, bridges and other brick-and-mortar projects. Lawmakers were urged not to overlook tech in the mix, including broadband connections, winning the international competition to increase 5G networks, cyber solutions to secure the energy grid and smart technologies to improve the safety and efficiency of transportation. Data privacy: The United States was a leader in data privacy laws decades ago, but not enough is being done at the federal level today to prevent personal information from being misused. The European Union’s General Data Protection Regulation aims to harmonize privacy laws across the EU, but critics say it continues practices that have long stifled innovation there. China’s data privacy protocol is even more far-reaching and, some argue, even dangerous, given fears of cyber-snooping on U.S. tech companies. Members of Congress were urged to adopt federal standards that would pre-empt 51 different state privacy laws, an outcome that would make a mess of interstate commerce while confusing consumers. Trade: It’s no longer a question of whether the North American Free Trade Agreement will be replaced. The question is what rises in its place. Lawmakers on both sides of the aisle have described the USMCA as modernized trilateral pact that protects market access, safeguards intellectual property and enhances digital trade. Sticking points for the overall agreement remain, however, especially on steel and aluminum tariffs and farm provisions. The worst possible outcome: NAFTA goes away without a successor, which would be akin to the United Kingdom’s “Brexit” dilemma and potentially disastrous for the economy. In a city polarized on both ends of Pennsylvania Avenue, the prospects for progress are dim. Building a better workforce and infrastructure, agreeing on a common privacy protocol and enhancing 21st century trade deserve bipartisan attention at the least.